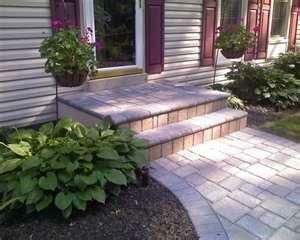 Brick Pavers are low maintenance, durable and cost-effective. Whitehouse Landscaping can design and install beautiful and functional patios and walkways to complement your home or business. 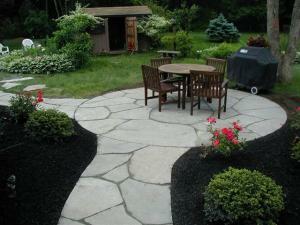 Paver patios can mimic the look of natural stone but cost less than many natural stone products. They also lend an air of warmth while expanding functional living space in the outdoors. A curved or geometric shape can add more visual appeal to your property. Industry technology has introduced an extensive array of paver shapes, sizes, styles, colors and textures for every taste and purpose. 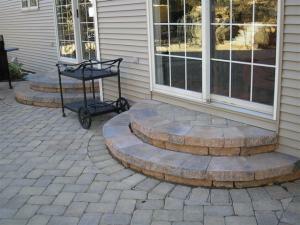 Whitehouse Landscaping is an authorized EP Henry Contractor and ICPI installer. This means we possess the knowledge and skill to guarantee that your patio or walkway is built to the industry’s finest standard. Flagstone, Bluestone… discover the beauty and texture of natural stone. Imagine sipping your morning coffee on a natural stone patio surrounded by lots of lush, landscape color...or a winding stone pathway to transform a plain entrance and welcome your guests. There was a time when the word “patio” meant a rectangular concrete area, but that’s no longer the case. It’s your landscape...don’t settle for boring. We’re ready to build the patio of your dreams!